Whatever it was, time passes, and shock absorbers can begin to “come” to be replaced. Not every motorist is able to figure out just how to check how shock absorbers do their job. There are several options for checking. 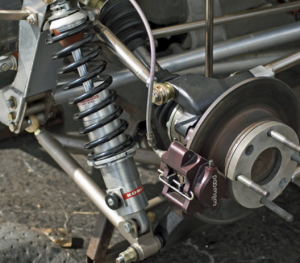 One of the simplest ones is rocking the machine by all wheels at a time when it is pressed once, and watch for a reaction: if the car quickly “jumps” upwards – this means that it is time to change the shock absorber, if the car is raised smoothly – everything are excellent and it is no reason to worry. The second option is the usual rocking of car, normally you will complete a car stop on the first-second jolt after intense rocking. Is it such testing 100% reliable? Not at all, because if the shock is not broken, but it works, for example, in a half, you will notice anything. At the same time, half working absorber doesn’t provide longer adequate adhesion. That is why better to entrust diagnostics of your vehicle to specialists. But if you still decide to check the shock absorbers by rocking- be careful: if you don’t calculate the force it can mash the body.